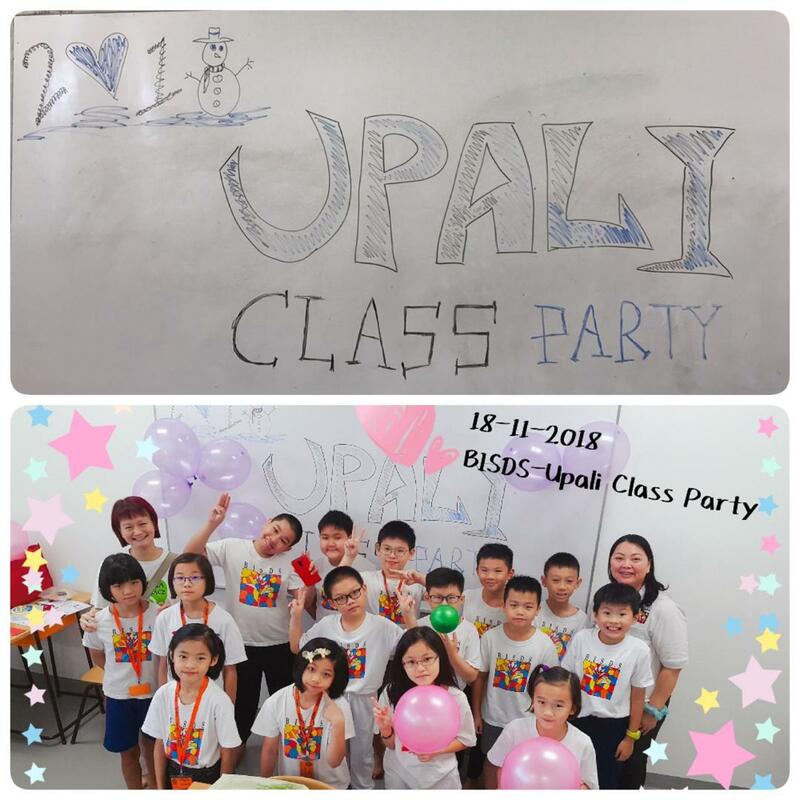 We held a class party on 18th Nov 2018 to celebrate the end of the school year 2018. In the morning, we decorated the classroom with colorful balloons, which added fun and cheers to everyone. Thereafter, we performed a simple Dana activity at the shrine hall. Back in the classroom, we had a variety of foods and games for everyone. The students had a roaring good time playing the UNO and Jenga games. In additional to the above, we celebrated EAN Qi’ birthday. Hence, 18th Nov 2018 was also a special day filled with birthday song and wishes. A big sadhu to everyone who had helped to make the class party a memorable event.